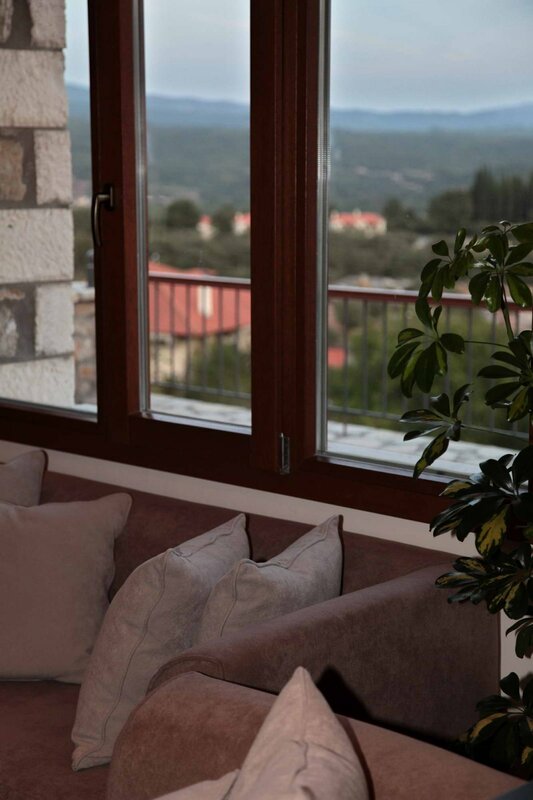 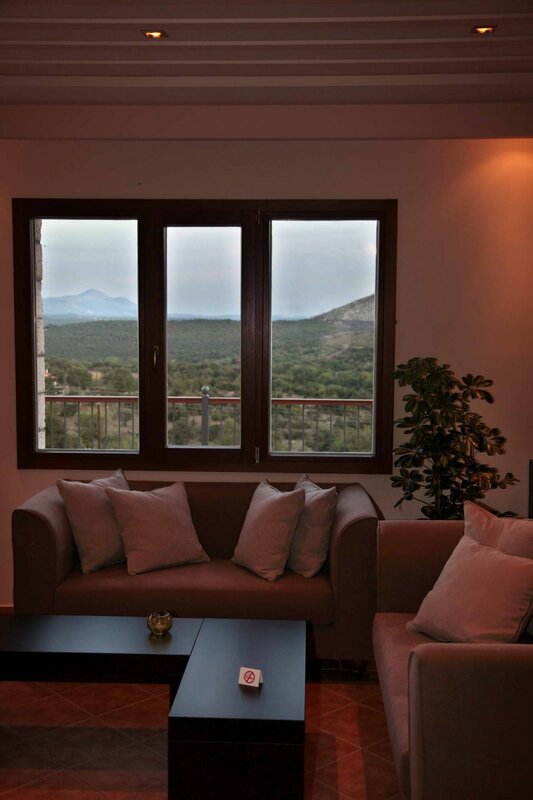 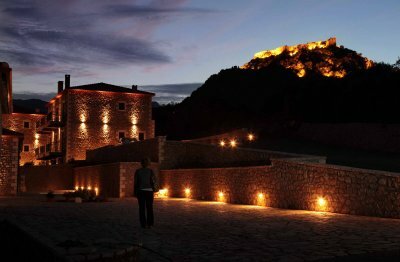 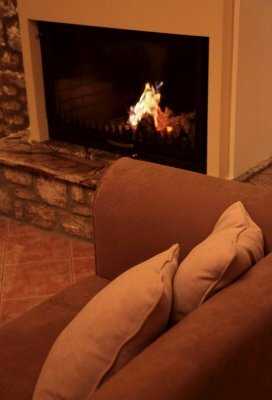 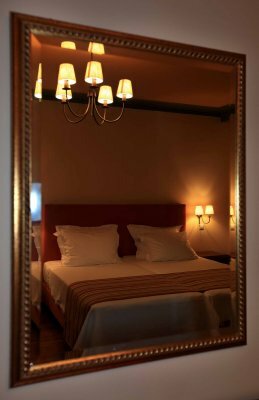 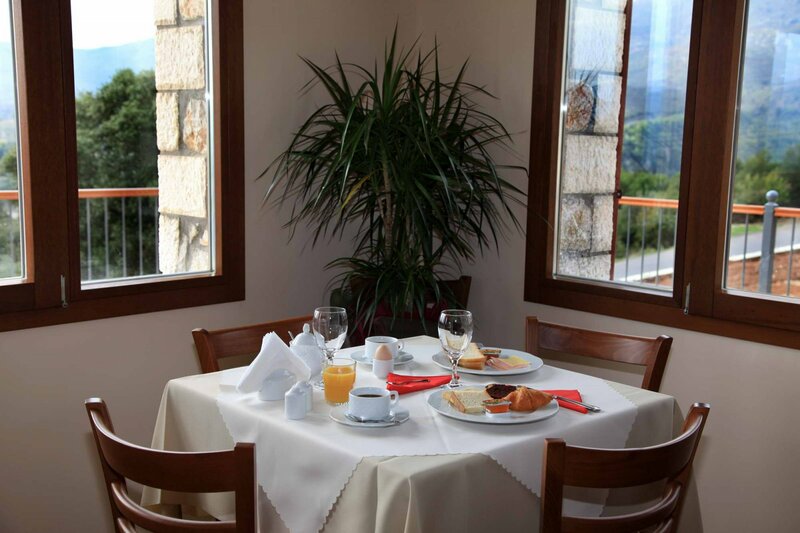 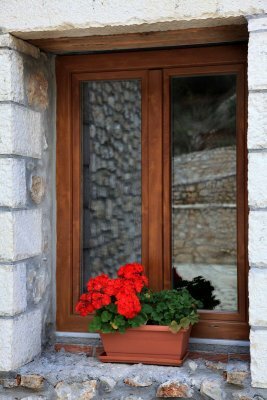 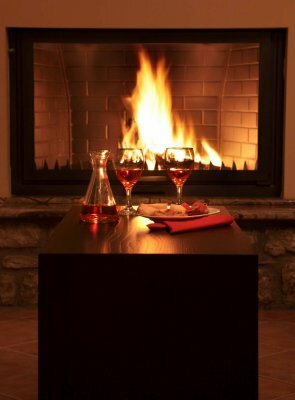 Two hours’ drive from Athens and 16 km from the town of Megalopoli, the traditional hotel Pelasgos offers spacious rooms in mountain style in the picturesque village of Karytaina. 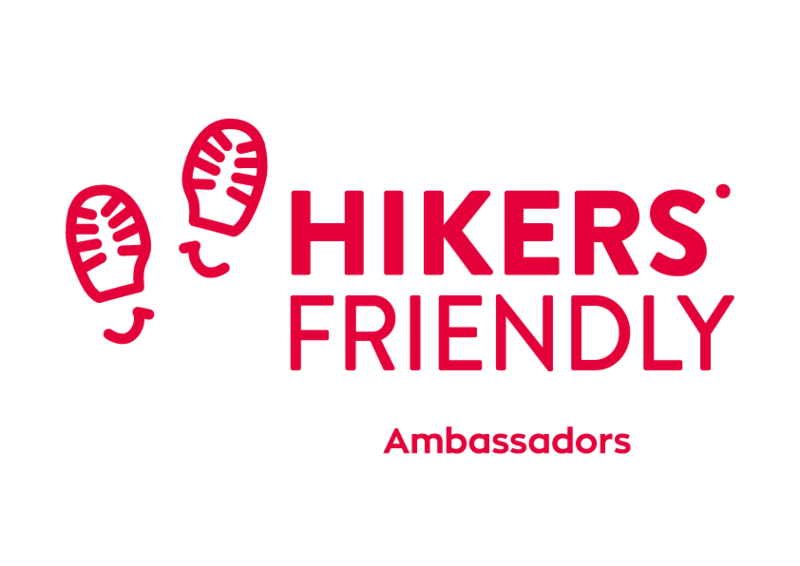 It is located in a magnificent setting in the heart of Arcadia where many outdoor activities are organized. Warm welcome and friendly hospitality. 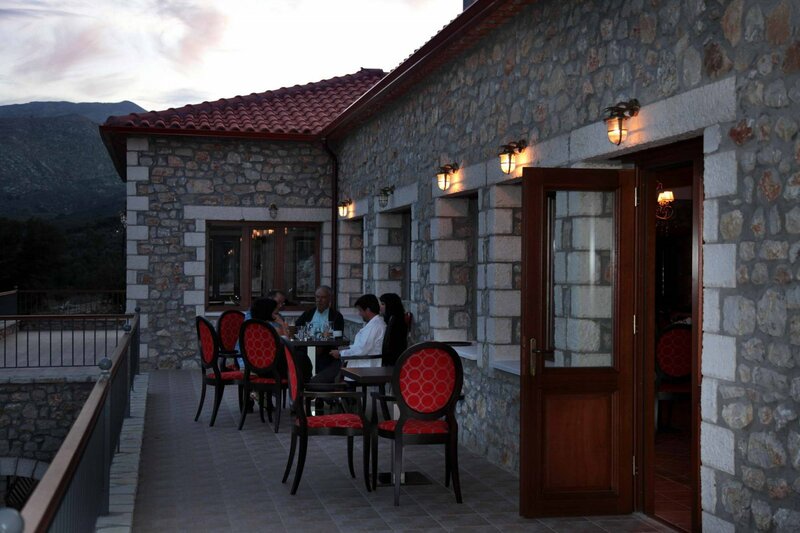 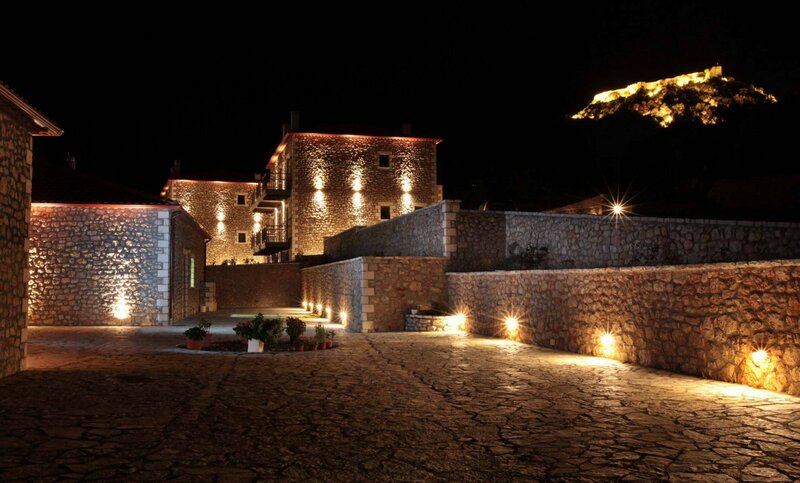 Surrounded by lush forest, this traditional hotel is built in local stone, in respect with the local architecture. 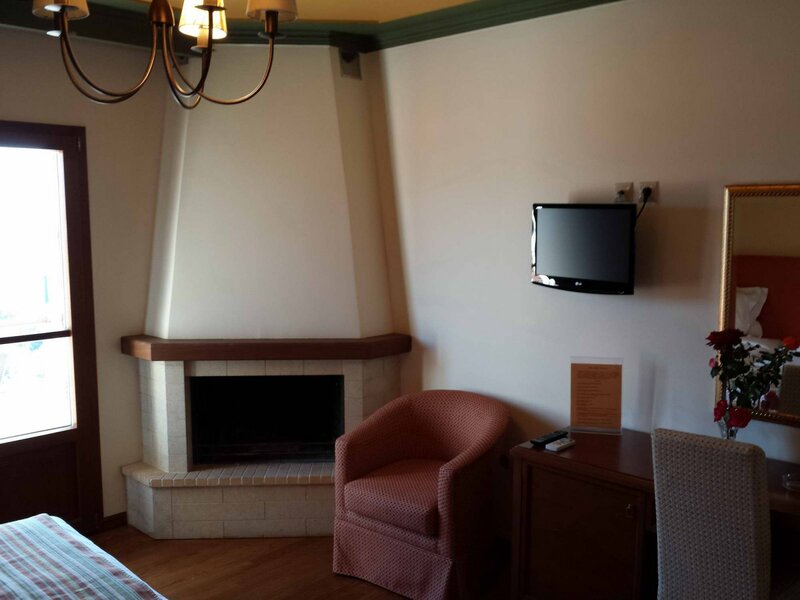 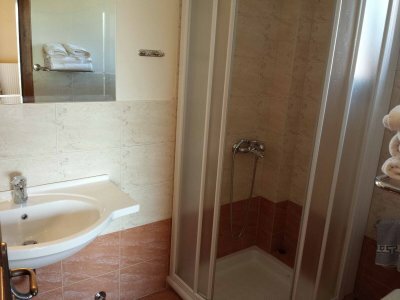 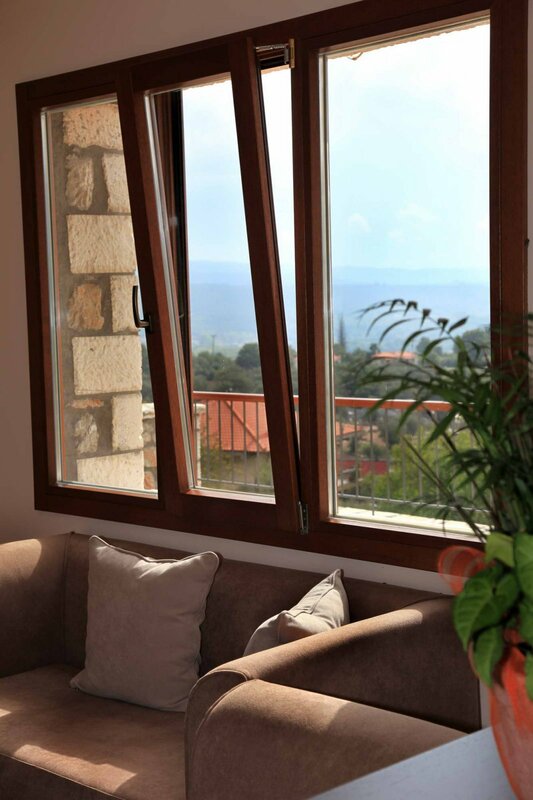 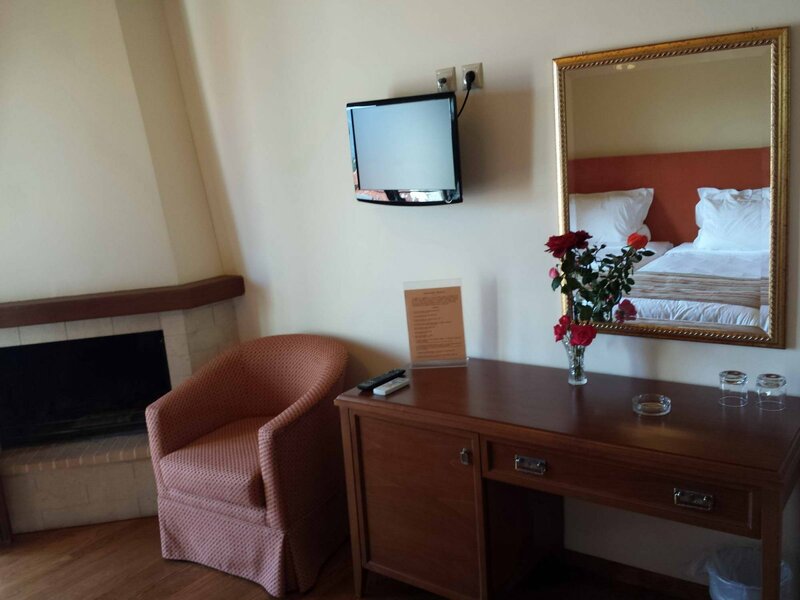 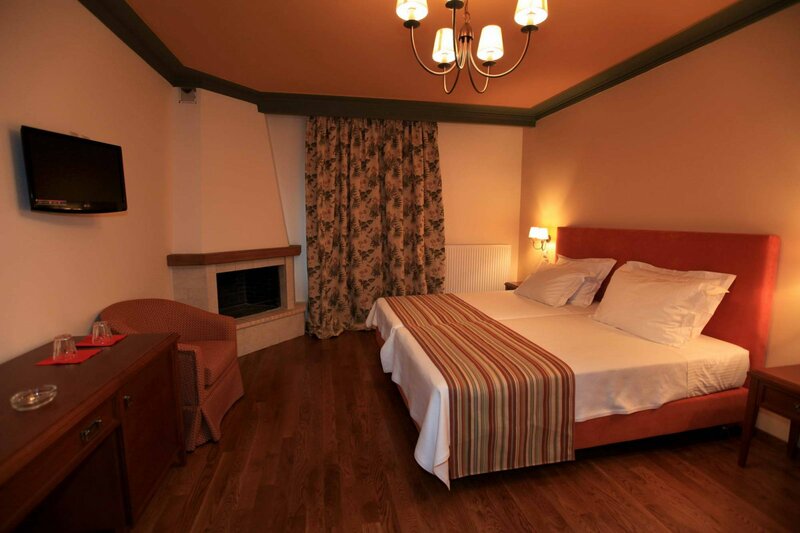 It offers spacious and functional rooms with beautiful mountain views. 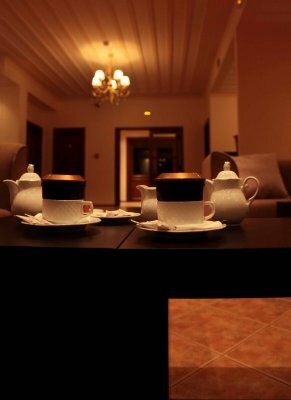 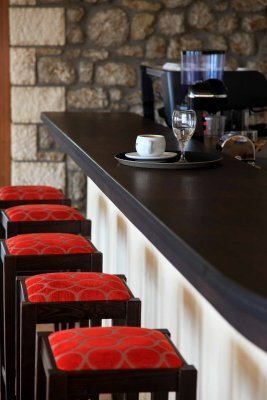 Common areas, including a café-bar and a restaurant, are available to guests. 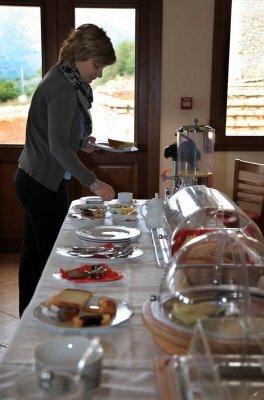 The traditional breakfast is served, buffet style, in the dining room of the restaurant; it is composed of fresh, local products and homemade recipes. 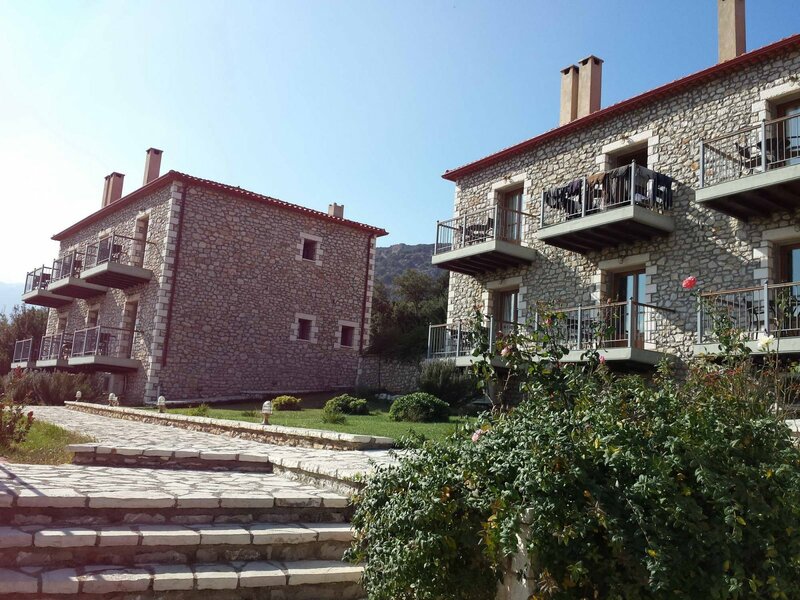 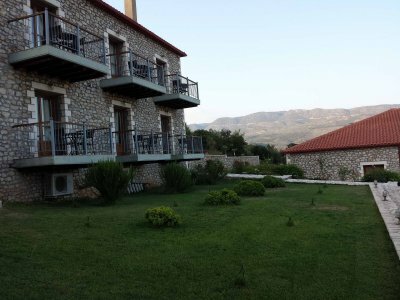 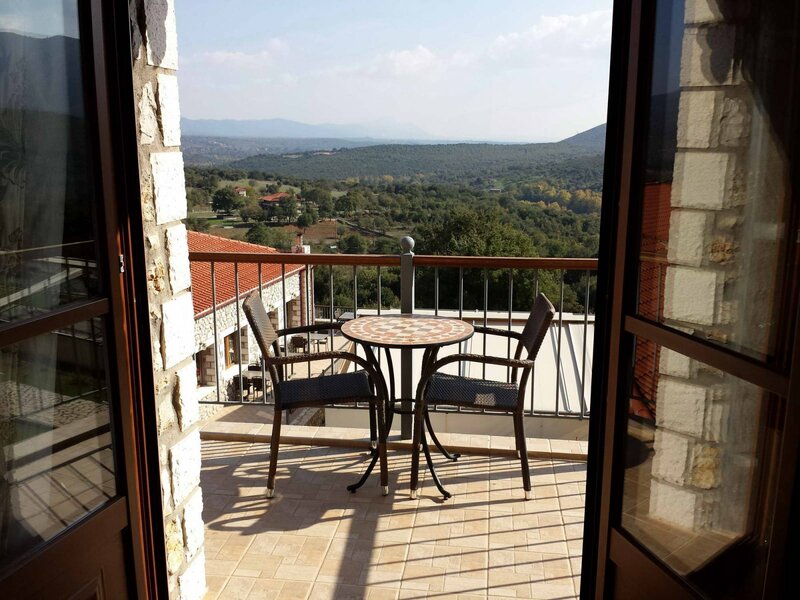 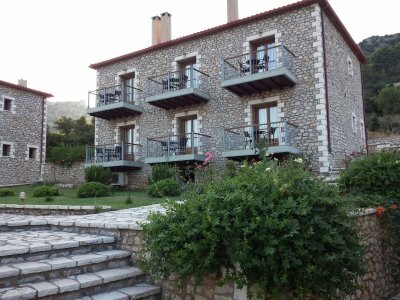 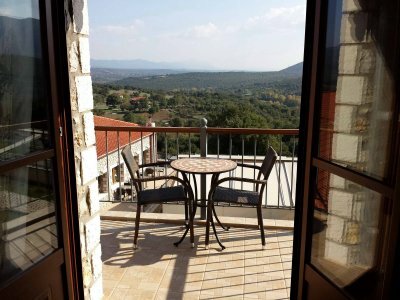 Comfortable hotel in Arcadia, perfect settlement to discover this part of the Peloponnese while enjoying local specialties and practicing various outdoor activities available in the region. National Road Athens - Corinth - Tripoli. After Megalopoli, follow the direction towards Plaka – Karvounaris and finally to Karytaina. 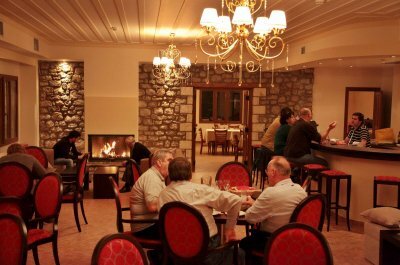 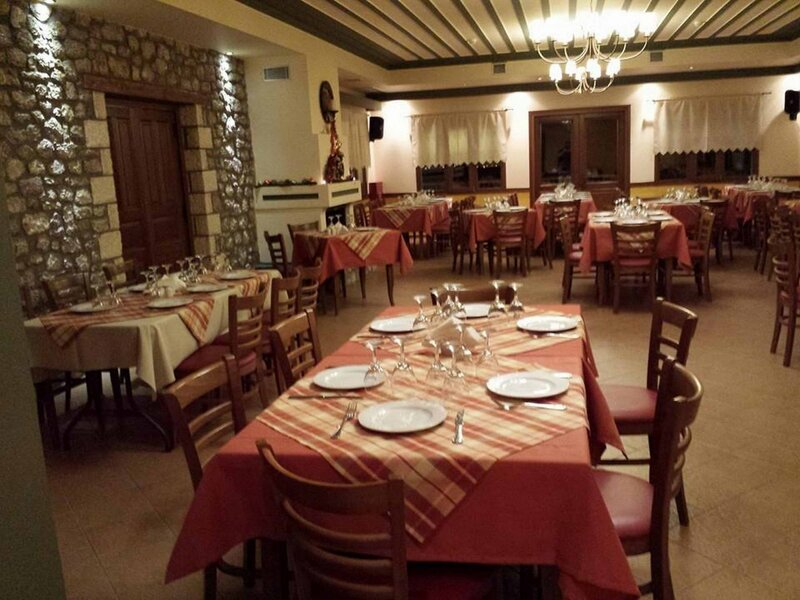 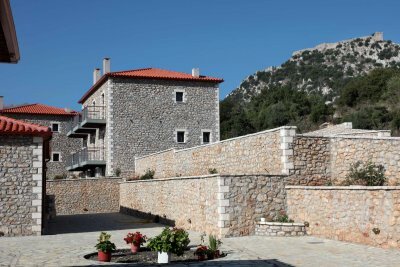 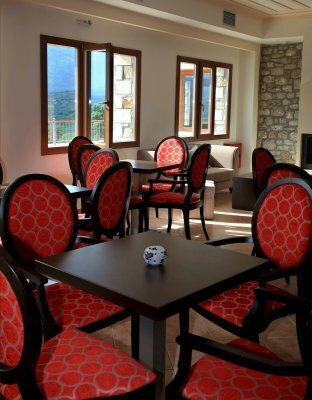 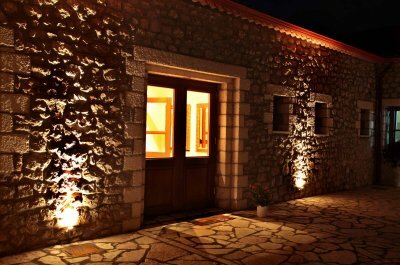 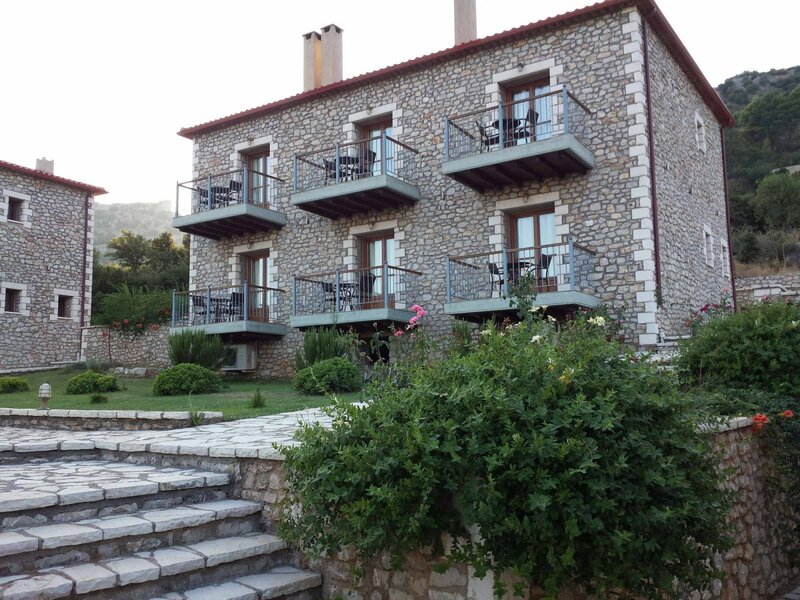 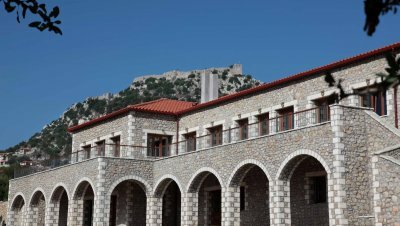 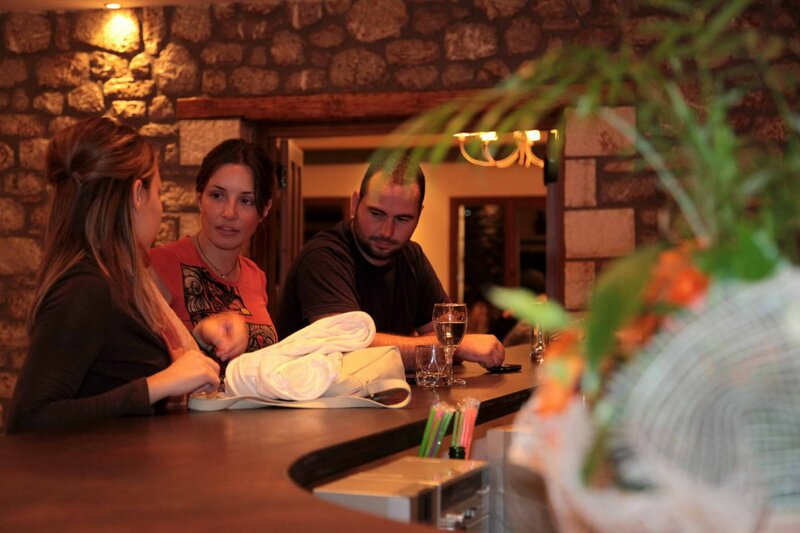 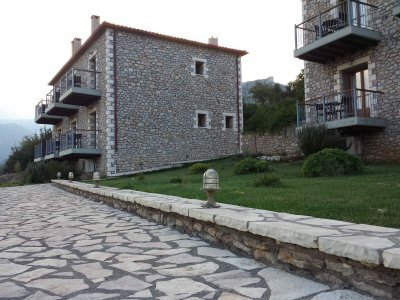 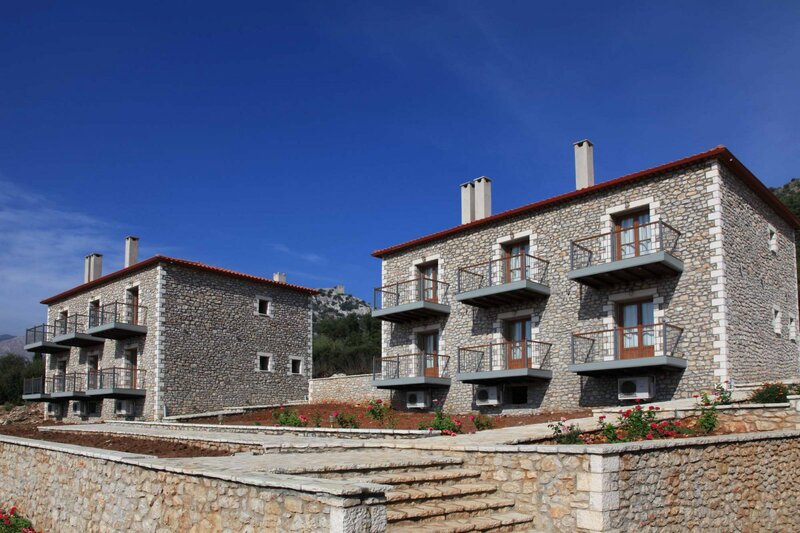 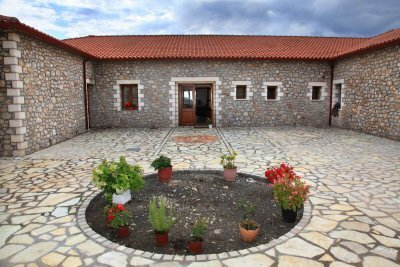 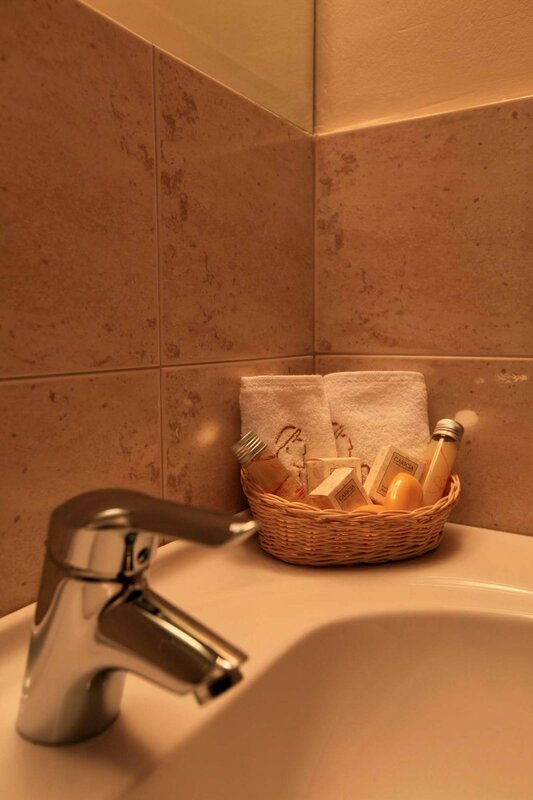 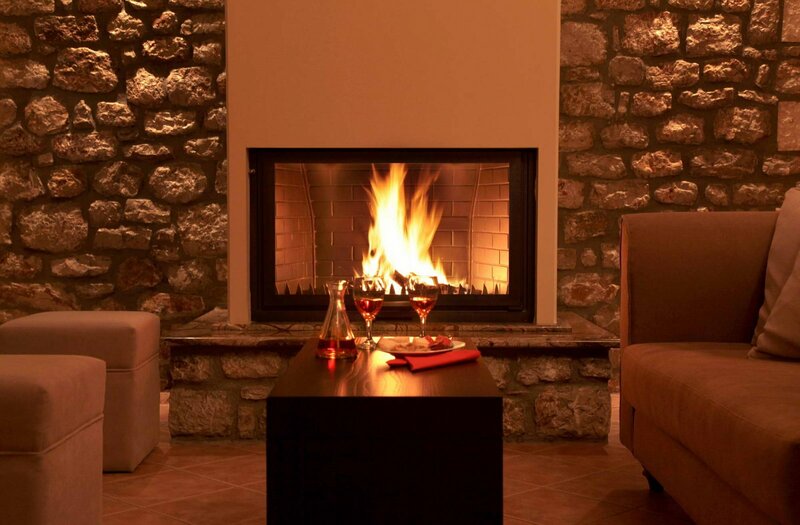 The hotel Pelasgos is located in the entrance of the village, 2 km from the main square.